Trading Forex and CFDs still remains popular today because of its benefits, which is exactly why so many people are interested in CFD training guide. Aside from its faster and more profitable promise, it allows people to think differently and creatively. Seeking for a new strategy to grow profit? CFD trading might be the solution! Several people prefer this strategy because it is so convenient. Although the disadvantages and advantages are anticipated, more and more people use this in hopes of earning more. You probably classify CFD trading as a complete alternative for traditional trading. We use it as the rise and fall of financial markets continue. It works by having a buy and a sell option for every market. These are also known as the offer and the bid. When the market rises, this is what you call “going long”; however, if the market falls, it is pertains as “going short” as it is decreasing the market, classifying the loss. If you are looking for a good CFD training guide, you need to know these basics first. The profit depends on the increases and the loss is when the market decreases, which means your profit depends on how high the market increases, and your loss on how low the market decreases. Beg to differ – What’s the point of following the crowd? They often wrong anyway! Don’t be discouraged by other opinions – Have a strong foundation in the field and stand on what you believe. Do not be influenced by other people. Step back, and keep your hands away when you are not sure – everything needs a little thought. And always keep in mind that successful traders are well disciplined. Also, practice the art of waiting; it will catapult you to the right direction as you wait for the right time. There are divergences especially in related commodities. Identify and trade them – This will channel more trading opportunities. Build a trading pyramid – it will be beneficial in time. Avoid putting your entire position in just one price – The most ideal and wise move would be splitting your entry into tranches. Don’t add on losing positions – Do not false hope that it will turn. It is clearly not going to happen. 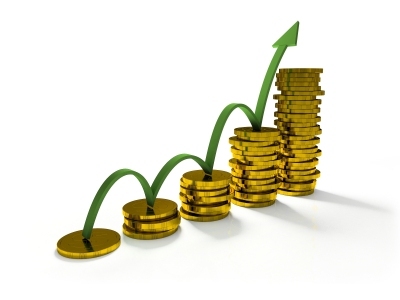 Free your profits by letting them run – learn to like profits; learn to life losses. CFD trading can be hard to understand at first. However, it is still advisable that people try it for a change. A huge number of beginners have adapted into this style, which proves that it is really not impossible to learn this approach. All you need to do is try and with the help of the CFD training guide you will succeed. Go on now, and create your CFD trading account! It’s definitely a must try. After all, there is no gain when you don’t try it!